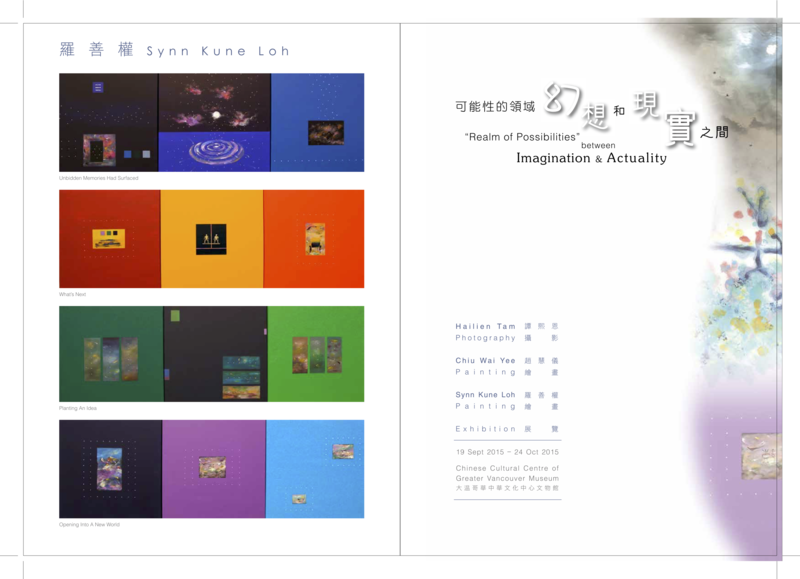 Artist Synn Kune Loh currently lives in Vancouver. He was born in China and grew up in Hong Kong. He completed a B.A. In Psychology from the University of Bridgeport in the USA before his graduate study in Cultural Psychology at Queen’s University, in Kingston, Ontario. An accomplished painter, he studied experimental art at the Ontario College of Art in Toronto. In addition, Synn Kune holds a Master degree in Therapeutic Counseling from the International College of Spiritual and Psychic Science in Montreal, Quebec. Throughout his career as an artist, Synn Kune Loh’s painting style evolved, from fluidly spontaneous to meticulously accurate. The logistically-outlined shapes and lines are placed on the canvas by calculation. 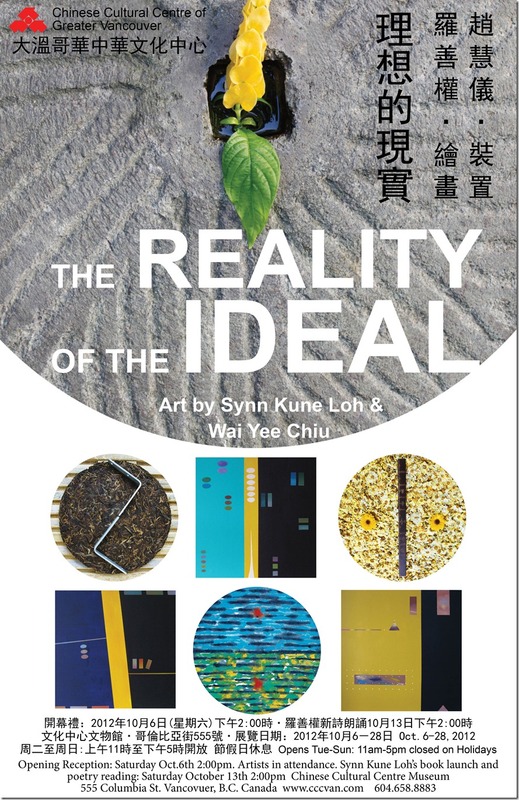 Different from his solo exhibition in 2009, this time he is exhibiting together with artist Wai Yee Chiu to explore the visual expression of both ideal and reality. Wai Yee Chiu was born in Hong Kong. Since 1980, she studied painting under Irene Chou. In 1984, she had her first solo exhibition at the Hong Kong Arts Centre of Chinese colour painting. Her works, many of which are innovative and intriguing Chinese water colour. Her work was selected for the XIXth International Prix of Contemporary Art of Monte Carlo in Monaco in 1985. In the same year, she was invited to hold a solo exhibition at the Ayala Museum in the Philippines. Since then, she has participated in many important local and international exhibitions in Hong Kong, Korea, Malaysia, Canada and France. Her works are in the collection of Ayala Museum, Asian Development Bank as well as public and private collections. Wai Yee’s outstanding creativity allows her to master various media in her art. Two years ago at the Chinese Cultural Centre he exhibited watercolor paintings on rice paper with heavy contemporary touches. This year, her sculpture and installations are quite different from her previous work, in form, medium, and approach. This new group of work brings the two seemingly contradictory but also interchangeable notions “reality and the ideal” together, for example, through a yin and yang symbol that is made of tea leaves and metal brackets, and resin discs of watercolor images that blur gradually through the patterned installation. Both artists will be present at the opening reception. Mr. Loh will read his English poems from his new book Journey to Camatkara at the reception and on Saturday October 13th 2:00pm.